Leafy green vegetables in Japan were found this week to contain up to 22,000 becquerels of iodine-131 for every kilogram. Such a level exceeds the limit set by the European Union by 11 times. Becquerel is a measure of radioactivity. Eating a kilogram of such vegetables would give half the amount of radiation typically received by the average person from the natural environment in a year. Eating this amount every day for 45 days will accumulate 50 millisieverts, the annual radiation limit set for a nuclear plant worker. Millisievert quantifies the amount of radiation absorbed by human tissues. Exposure to 100 millisieverts a year increases the risk of cancer. That is equivalent to about three whole body CT scans. If inhaled or swallowed, iodine-131 concentrates in the thyroid gland and increases the risk of thyroid cancer. Children, fetuses and young adults are especially vulnerable. The risk of thyroid cancer can be lowered by taking potassium iodide pills, which helps prevent the uptake of the radioactive iodine. However, iodine-131 disintegrates relatively quickly and its radioactivity is halved every 8 days. This means it loses all its harmfulness in 80 days. Vegetables in Japan have also been found tainted with up to 14,000 becquerels of cesium for every kilogram. That exceeds the EU limit by over 11 times. Eating a kilogram of such tainted vegetables every day for a month would accumulate radiation equivalent to a full body CT scan - or 20 millisieverts. External exposure to large amounts of radioactive cesium can cause burns, acute radiation sickness and death. It can also increase the risk of cancer. Ingesting or inhaling cesium allows it to be distributed in soft tissues, especially muscle tissue, increasing cancer risk. It can also cause spasms, involuntary muscular contractions and infertility. 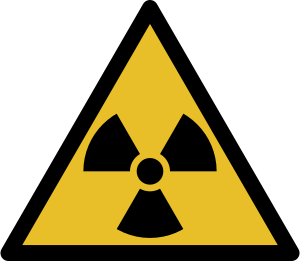 Unlike iodine, uptake of radioactive cesium cannot be prevented once the person is exposed. This substance is of more concern than iodine-131 because it is very hardy and takes far longer to disintegrate. Caesium-137 has a half life of 30 years, meaning it takes that long to reduce its radioactivity by half. It will take at least 240 years for this contaminant to exhaust all its radioactivity. Caesium-134 has a half life of 2 years, which means it will take about 20 years for it to become harmless. Below are the effects of short-term, high-level exposure to radiation, as published by the U.S. Environmental Protection Agency. Unlike cancer, these effects from acute radiation exposure usually appear quickly, causing what is known as radiation sickness, which includes symptoms like nausea, hair loss and skin burns. If the dose is fatal, death usually occurs within two months. * Exposure to 50-100 millisieverts: changes in blood chemistry. * 500: nausea, within hours. *20,000: damage to the central nervous system and loss of consciousness within minutes, and death within hours or days.